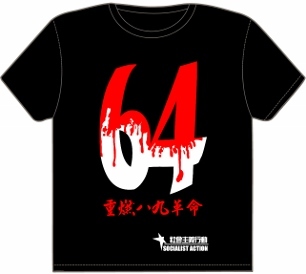 Chinaworker.info – “6/4” (Tiananmen massacre) 20 years on: The struggle continues! “6/4” (Tiananmen massacre) 20 years on: The struggle continues! The 20th anniversary of the mass movement that ended in the Beijing massacre shows that the spirit of struggle is alive in China and Hong Kong. Despite the best efforts of the Chinese dictatorship to stamp out all public discussion on this issue and erase “6/4” from the historical record, a new generation is learning the importance of 1989. The actions of Hong Kong people in staging probably the biggest commemorative vigil for more than 15 years, give enormous encouragement to the struggle for democratic rights across China. The magnificent movement of students and workers in 1989 spread to 100 cities, brought millions onto the streets, saw workers organise strikes for democratic rights and – for ten days – saw mutiny spread throughout the army under the influence of the mass struggle. No wonder today’s generation of Chinese leaders refuse to vindicate this movement – it developed into a revolutionary movement that almost toppled the corrupt dictatorship of the so-called ‘communist’ party. Especially the formation of independent trade unions at the end of May 1989, became the signal for Deng Xiaoping to crush the movement using excessive force. Deng wanted to draw a line in blood that workers, students, and even dissenters within the ruling party, would not dare to cross again. As he said, he was prepared to see 200,000 killed if this would bring 20 years of stability. This struggle – against one-party rule and state repression – continues today. Under Deng, China got its ‘free market’ reforms and has become one of the most unequal societies on the planet. Just 1.5 million families (0.4% of the population) own 70% of China’s wealth today. And the country is second only to India in the number living in absolute poverty – 248 million. China was never the ‘workers’ paradise’ that the old Maoist regime claimed, but today it is unquestionably a hell for working people, especially the more than 100 million who work in ‘blood-and-sweat’ factories, with few days off and miserable pay. But what about democracy? Those who argue that the market (capitalism) and democracy go hand-in-hand have a tough job explaining what has happened in China. And why is the ‘Chinese model’ – in which trade unions and all independent organisations are crushed – so popular with the Fortune 500 multinationals? They much prefer this to countries with democratic rights, stronger worker protection and higher wages. While China is a lot more capitalist, it is now less democratic even than in the 1980s. “China has become like an airtight iron chamber”, according to the Tiananmen Mothers campaign group, whose leaders have been ordered out of Beijing for June 4th. No commemorative events are tolerated on the mainland and even the proposal for ‘wearing white’ as a silent protest has triggered new threats of severe punishment from the authorities. Arrests and harassment of dissidents are worse today than during the Olympics. And the heavy hand of the Chinese state is supported by some of the biggest IT companies in the world such as Microsoft, Cisco and Yahoo, who supply the Chinese police with state-of-the-art censorship equipment to quash ‘dangerous’ debate on the internet. With Wall Street’s help, the Chinese state has become more sophisticated in its methods, but no less ruthless. After 20 years, many are demanding the vindication of the 1989 movement. Chinaworker.info believes the movement can only be vindicated by the people, not by the dictatorship and the heirs of Deng Xiaoping’s massacre. 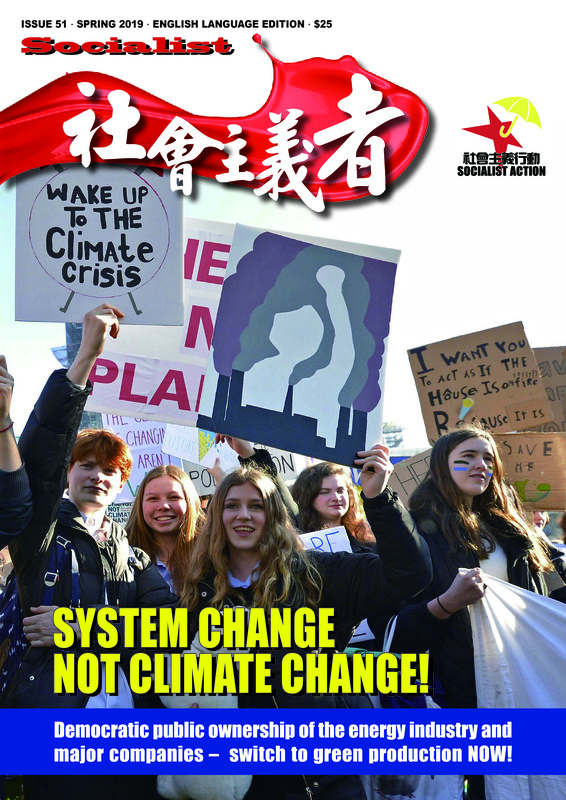 The movement is being vindicated in mass mobilisations in Hong Kong and – in future – in the rebirth of an independent trade union movement in mainland China. The key is for people to learn the lessons of history and insure that the next time, mass struggle is successful. The most important lesson is the need for organisation and a programme capable of defeating the dictatorship. This means democratic workers’ and students’ committees and fighting trade unions independent of the state. Donald Tsang Yam-kuen, true to his role as a puppet of the Beijing dictatorship, has blurted out his real opinions: That business and wealth accumulation is more important than the massacre of protesting youth. This was no ‘slip of the tongue’. A deep hostility towards genuine democracy forms part of the CV for unelected bureaucrats like Tsang, as with his predecessor Tung Chee-wah. Tsang has said similar things before. In 2007 he argued that full democracy would lead to “chaos like the Cultural Revolution…” Then came another apology! Tsang’s views are not his alone. The corporate elite of Hong Kong share Tsang’s aversion for democracy, which explains why they are so troubled by ‘all this fuss about 1989’ and the ideals it inspires. Tycoons have taken out newspaper advertisements to warn about the ‘evil’ effects of universal suffrage on Hong Kong’s economy. Just like Deng’s attacks on the students in 1989, Hong Kong business leaders have slammed pro-democracy marches as ‘mob politics’. The mass resurgence of support for democratic rights – in Hong Kong and the mainland – has these tycoons just as worried as Beijing’s autocrats. The rich and powerful need the anti-working class policies and methods of the Beijing regime to keep the working class in an unorganised state, ideal for super-exploitation. Even in Hong Kong, as a government research paper warned in 2006, they fear that universal suffrage will “lead to a welfare state” of higher pensions, minimum wage, and a stronger public sector. They see this as a threat to the super-profits they have been making especially in recent years. This year’s “6/4” anniversary takes place amid the deepest global economic crisis for 70 years. The spirit of struggle from 1989 is needed more than ever. The 1989 movement was also a social movement against corruption, official profiteering and deepening economic hardship. Today we face a similar, but worse, situation. Millions of jobs and companies are being wiped out across the world. The politicians insist on calling it a ‘financial tsunami’, but this was no natural disaster. ‘Financial terrorism’ by a capitalist system that is increasingly based on parasitical speculation would be a more accurate description. 30 million mainland workers have lost their jobs in the last 12 months. In Hong Kong unemployment has almost doubled to 197,000 from 112,000 in 2008. More than 140 million people in Asia may sink into poverty this year, according to the International Labour Organisation. Hong Kong is one of the most unequal places on earth – the top ten percent are 23 times richer than the bottom ten percent. Chinaworker.info and our international organisation, the Committee for a Workers’ International (CWI) are fighting to change this crazy system in which factories are closing, workers are losing their jobs, and the poor are getting poorer, all because society is run for the profits of a small elite of capitalists rather than the urgent needs of the majority. In 1989 the Stalinist ‘command economies’ collapsed because these dictatorial regimes stubbornly blocked any democratic control by working people over the “people’s” enterprises and economy. Now, the capitalist market system is experiencing an equally dramatic crisis, although it doesn’t yet face the same political challenge from a mass movement. But the World Bank is warning that with unemployment exploding, political unrest will increase around the world.